The trend in invoice processing is to extract maximum value out of the information invoice data can provide. Line-level invoice data plays an essential role in business process improvement. In many industries there is a push for management information (MI) to help gain improvements in business processes. Invoice processing can play an important role, and line-level invoice data enables businesses to access the information that contributes to this process. The benefit of improving business processes includes being less “reactionary”. As an example, a travel agent may block-book rooms. It is only when the invoice is received does the company see, at the line-level, what was booked and what took place. Did guests arrive? Did they check out early? Ask for other services? Stay longer than last year? Without line-leave detail, organizations do not have the essential information necessary to make improvements. One of the biggest barriers to digitalization and the extraction of line-level detail is the cost involved with traditional Electronic Data Interchange (EDI) systems. Not only is there a considerable capital cost to installing and adopting an EDI solution, once a system is in place it can become a constraint for the organization. Suppliers can avoid the investment in this technology by taking advantage of PDF invoicing. That’s because a PDF invoice has data layers that can provide the line-level data we are talking about, as well as drastically lower implementation costs. Data mapping technology takes the information from the PDF and sends it into an invoice processing system without any manual keying of the data. Because the data is taken straight from the invoice, 100% accuracy is achieved and manual data errors are avoided. With PDF based invoicing, suppliers can be up and running within minutes. All they need is an email address that sends their invoices directly into the invoice processing system. This method of electronic invoicing has a substantial cost advantage over EDI, and a trend for business that is only going to accelerate over the next few years. PDF invoicing is a viable alternative for suppliers that want to adapt to their customer’s purchasing and payment workflow. It’s a convenient solution that is relatively painless to implement – something that’s not possible with traditional electronic invoice systems. PDF invoice capture provides faster processing, eliminates manual data entry and manual errors, and takes paper out of the process. As well as getting value out of every “yard line”. 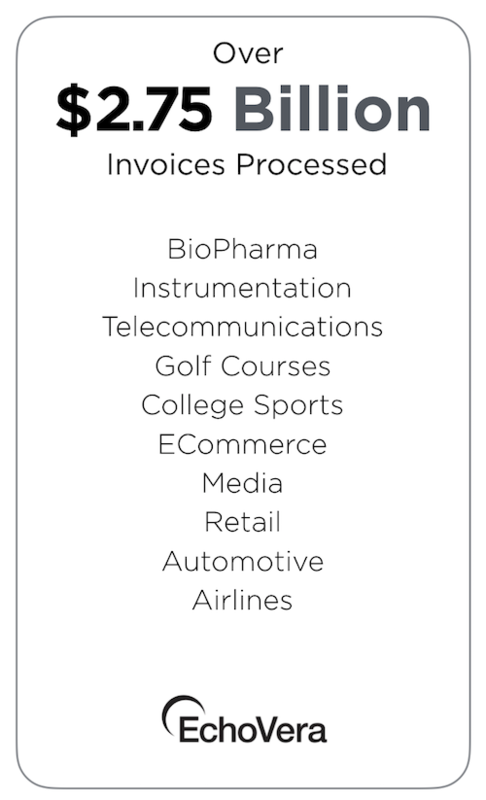 For suppliers who are still sending paper invoices, Intelligent OCR can recognize the vendor, intuitively extract field data, and send the collected data to the invoice processing system. 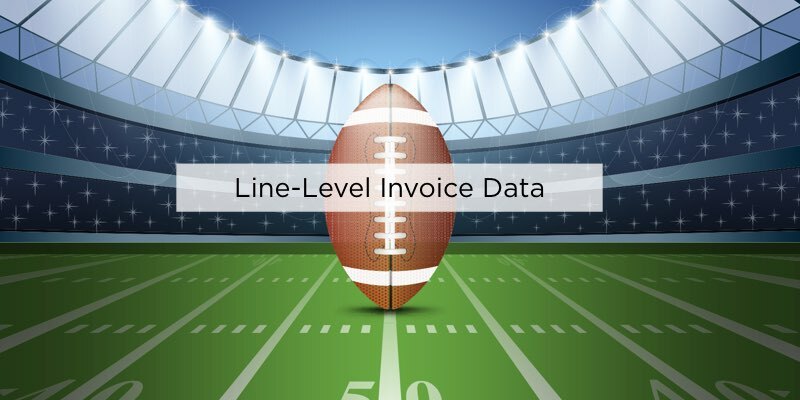 For more information on how you can take advantage of line-level invoice data, take a look EchoVera’s ASAP.